Yesterday, a car right behind me got t-boned in an intersection by a big truck. JUST 50 FEET BEHIND ME! Last year, I flew to Arizona to speak to a large group of executives and, atypical of me, I rented a sports car. And, you guessed it, I got a speeding ticket. 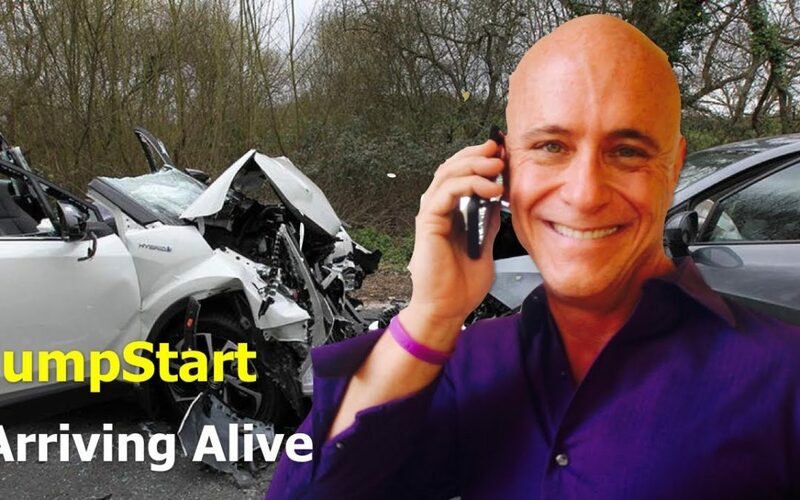 But, the GREAT thing was that I took an online safe driving course as a result and what I learned about texting while driving blew my mind. Driving while texting, which didn’t exist a decade ago, already kills as many people as drinking and driving. That’s why I took the pledge not to text while driving and you should, too! When I get in my car, I select what I want to listen to and then I put my phone out of reach — and you should give it a try. You are far too important to die young, spend your life disabled, or ruin the life of another person by causing an accident.